Being Frugal and Making It Work: New Jewelry Deal Every 30 Minutes! Sell Off - Freebies and Incredible Deals! New Jewelry Deal Every 30 Minutes! Sell Off - Freebies and Incredible Deals! Wow! 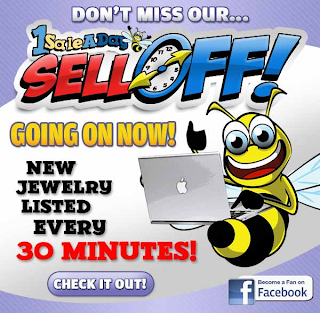 Today only, 1SaleADay is having a jewelry sell off with a beautiful new deal every 30 minutes! I've been a huge fan of 1SaleADay for quite some time now and am always amazed at their low prices, great deals, and freebies! Today I will be checking in as often as I can to see how many amazing jewelry deals I can pick up, and even better yet... how many freebies I can grab! It's a great way to stock up on affordable Christmas and birthday gifts! Great, i always looking to save some bucks for my wife jewellery. I got many ones from macys coupon code , now i have one more deals site in my kitty. Thanks. A Day of Birthday Freebies!